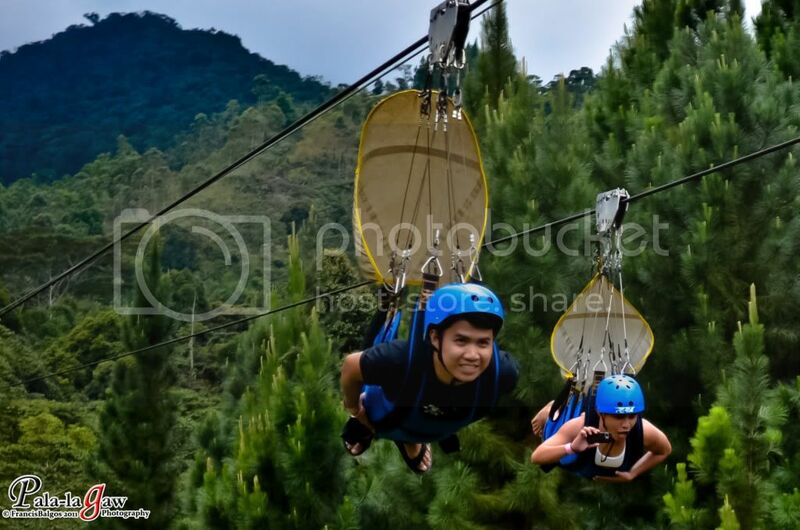 A trip to Cagayan De Oro City is not complete without a visit to the Dahilayan Adventure Park. 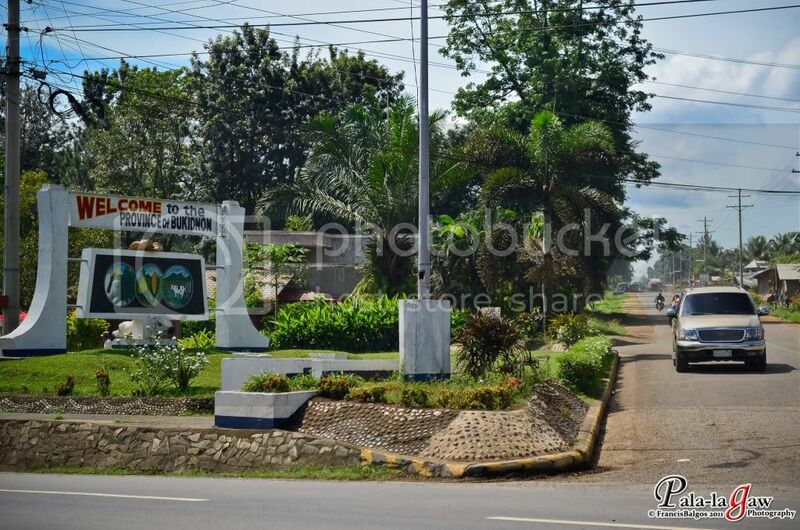 Although it is located in Bukidnon, a neighboring province of Cagayan, it's just a 2 hour drive going up through provincial boundaries and scenic mountainous areas. 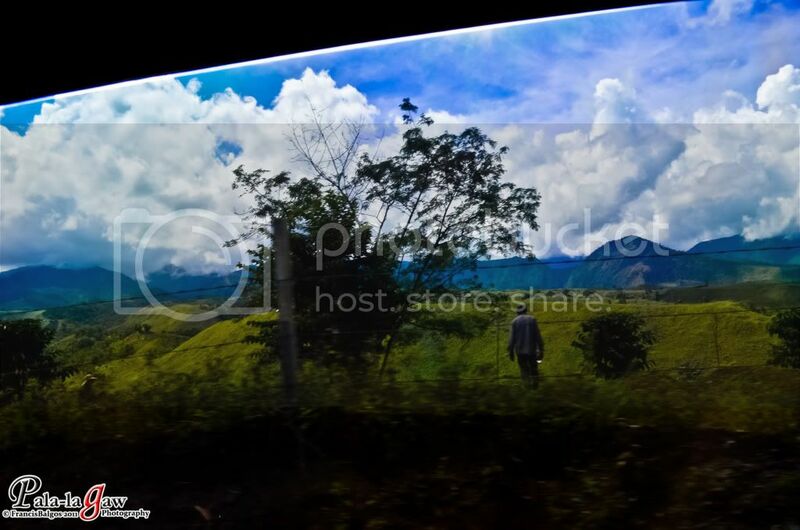 This Picture was shot while I'm inside the van passing through Bukidnon countryside. 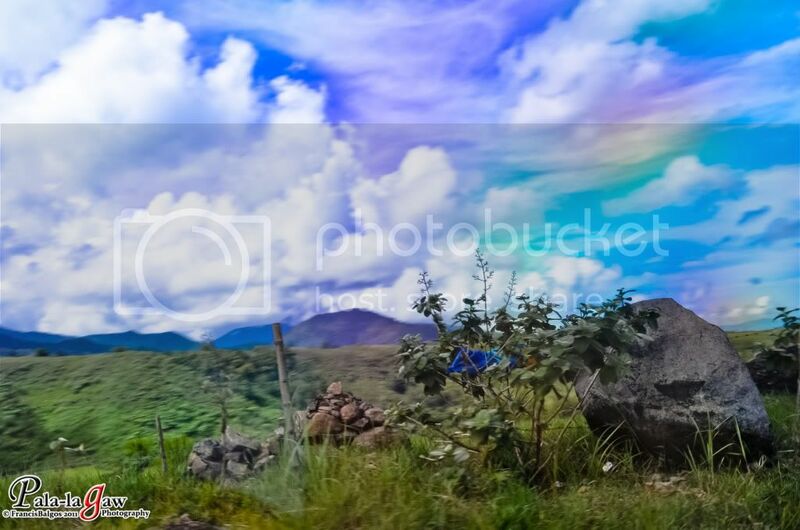 The combination of looming clouds, rolling hills and imposing mountains is simply breathtaking. I'm unable to get a focal point while inside the van, But what's so charming about it is when it slows down to allow traffic. The resulting picture with this boy walking the street is unexpected, I felt bless for having the patience to continue taking pictures while my fellows inside the van all fell asleep. 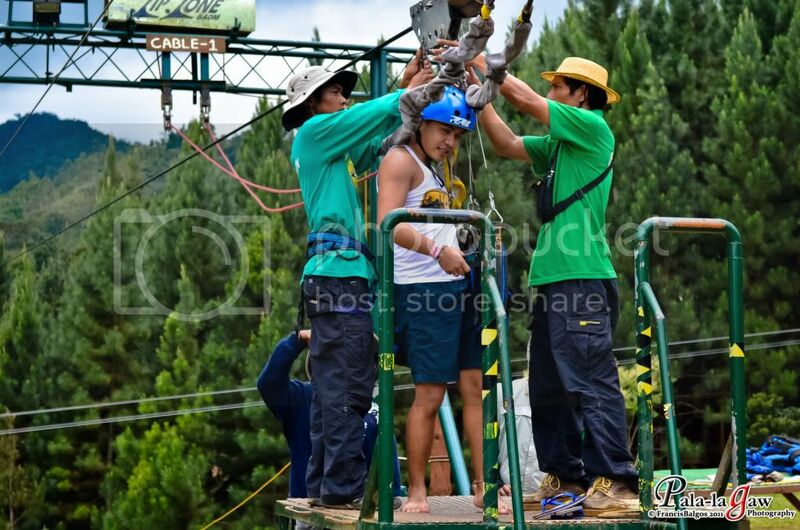 I've never tried a zip line adventure before, a short time adrenaline rush is not my thing. The most enjoying part of this trip was the drive. 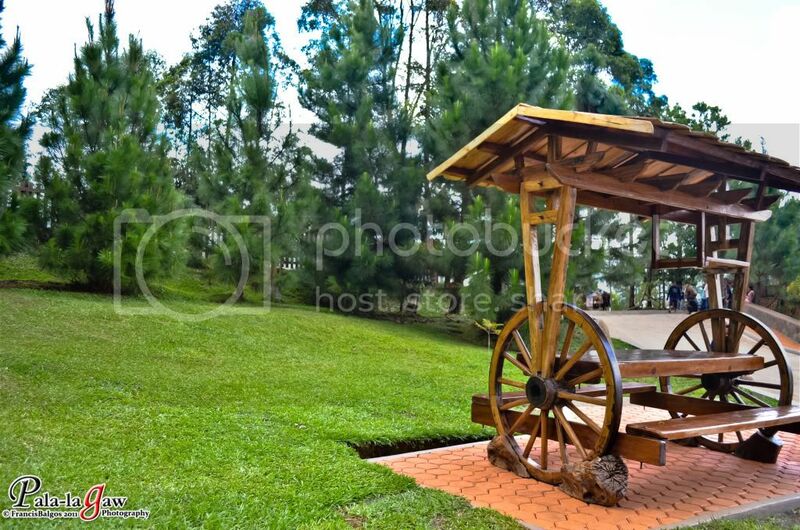 Bukidnon's countryside is amazing, I tried to capture it in my photos even when I'm inside a taxing van. The purple in this picture was a result of the van's window shades. I would've wanted to just ask the driver to stop for a few minutes so I could take a few minutes with a few landscape pictures, but then were getting late of our schedule. 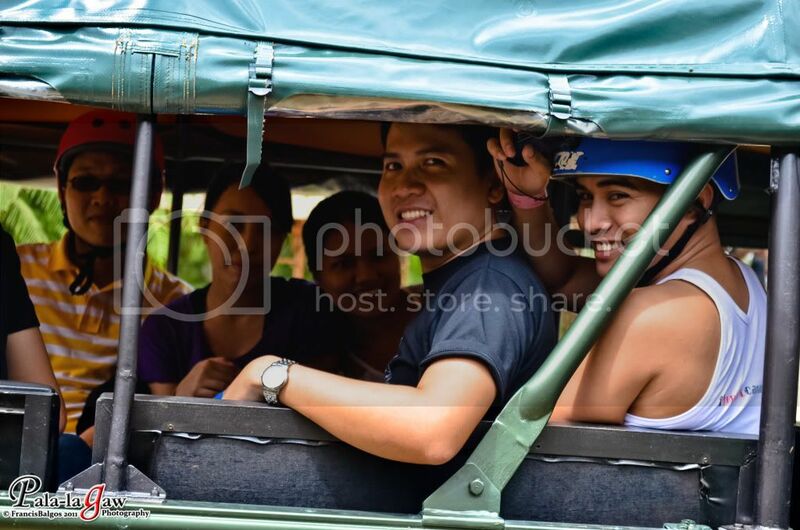 We were named as this group by our rafting guide since all 5 of us are lodge at Budgetel. One of the perks while travelling is meeting new people and making friends with them, these 3 in the middle of the picture is Sherwin, Gerardine and Abbi all young CPA's working in Makati. We worked on the same business district and may have bump into each other a few times without any introduction. I was amazed at their Haggling skills especially the girl in the middle Gerardine. We ate lunch at The Clubhouse of Del Monte farm after this and she already calculated the bill and how much are we to spend per head on our food even before making an order. She's also the road manager for their group managing itineraries and making calls for any tour guides, always having a contingent plan. If I was a businessman, I would want her to be in my team. 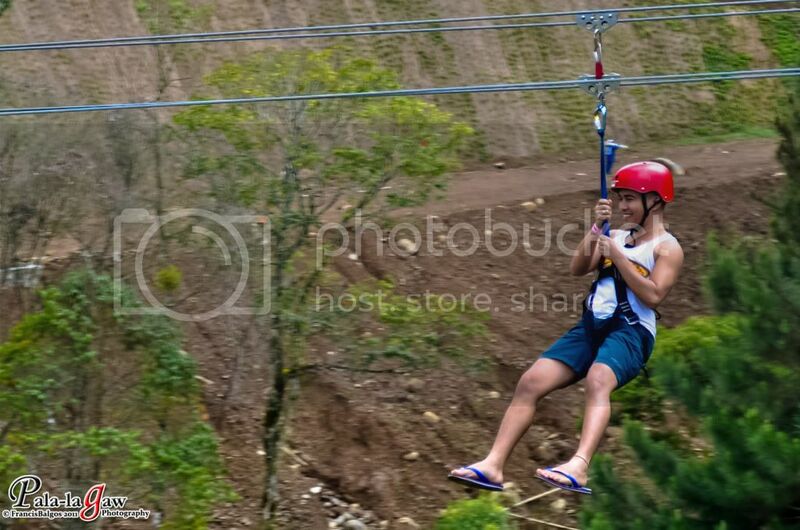 The first of the 3 zip lines laid across this adventure park. The weather is just perfect. 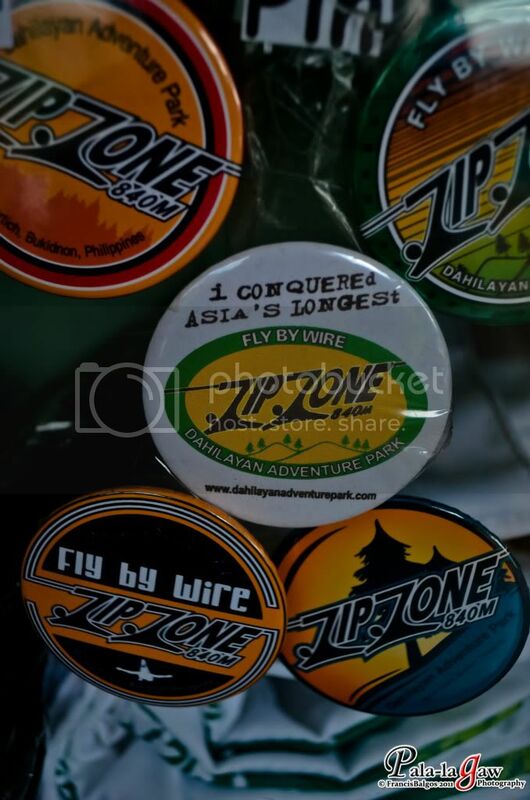 The last zip line will be somewhere on a hilltop in a higher altitude, the pride of this place to be the longest dual zip line in Asia. A quick drive is necessary for this and its included in the package. Headlong dive through cold winds, the zip line was definitely long. 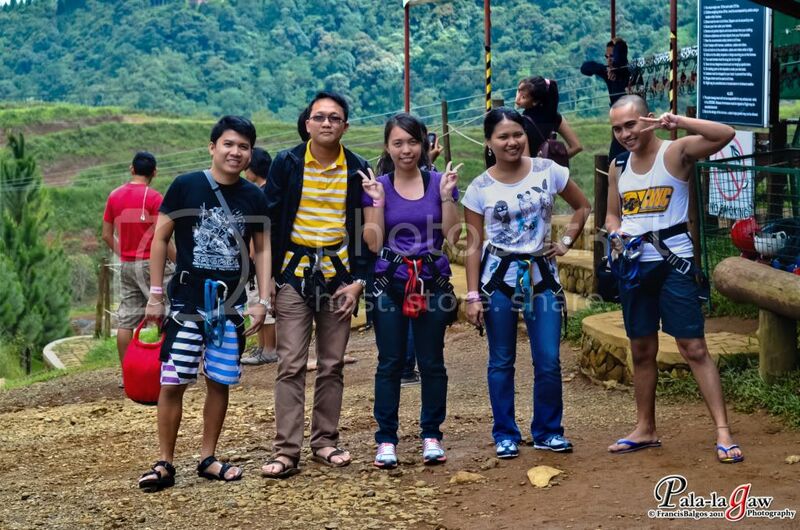 It's obvious that I got my adrenaline fix, since I opted to be included in the last pair of zip liners, I was greeted with eager entourage after I'm done. Smile for the picture. Rodeo rides abound, I've never ridden a horse before. 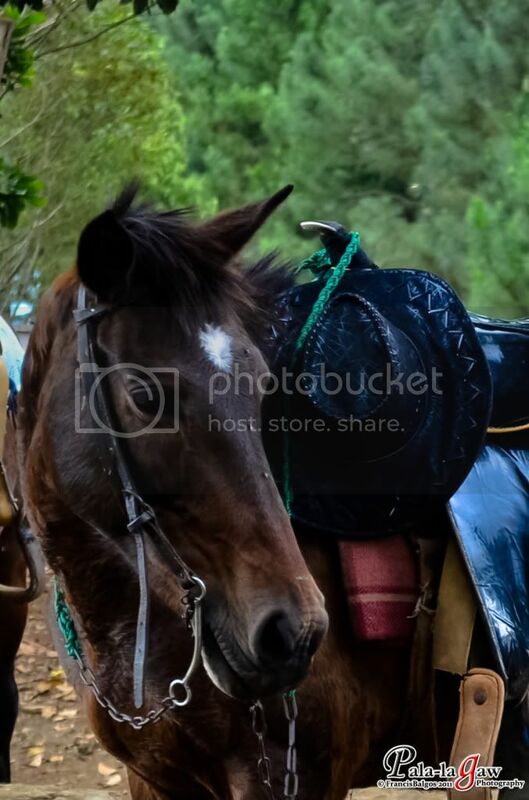 Bukidnon was like a rodeo country, and there're real cowboys around. The photo of that kid walking on the side of the road is very nice. Good job francis! Btw, belated happy birthday. God bless! I really want to visit this place. I've heard so many nice feedback about the place. 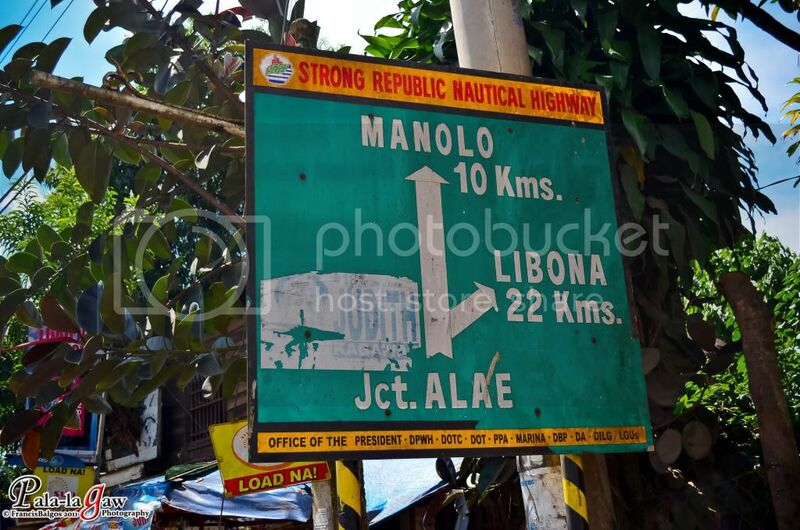 I haven't been to this place but I was around Cagayan de Oro and Bukidnon a few times already. Maybe this are new developments in those areas. 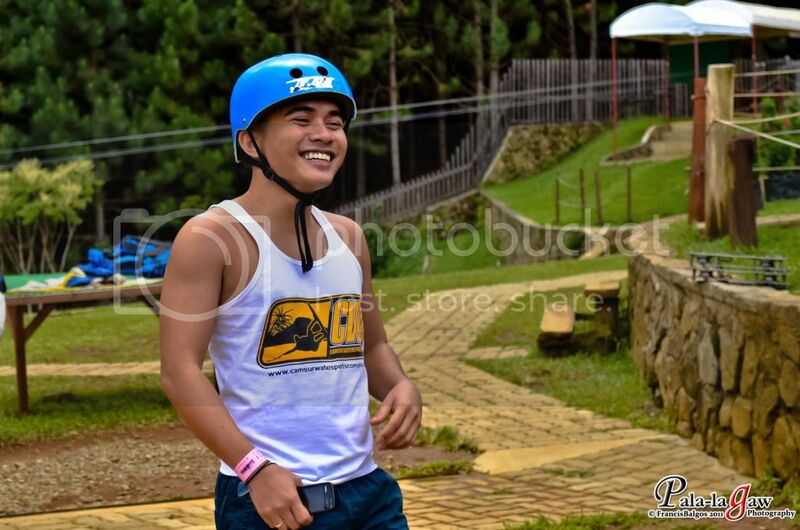 More reasons to go back to CDO and Bukidnon! @ Vonn Angelie | to answer your questions.. all my photos are enhance, say the sharpness is increased, and the exposure adjusted! but the cloud shot on the first, that was the effect of the window in the van, and the filter I use in my camera. at kay Vonn Angelie, salamat sa follow! I think I've followed you already! My friends have been here already and they all have one thing in common - they said, this is a must-see place. And the ride...i should try it too. 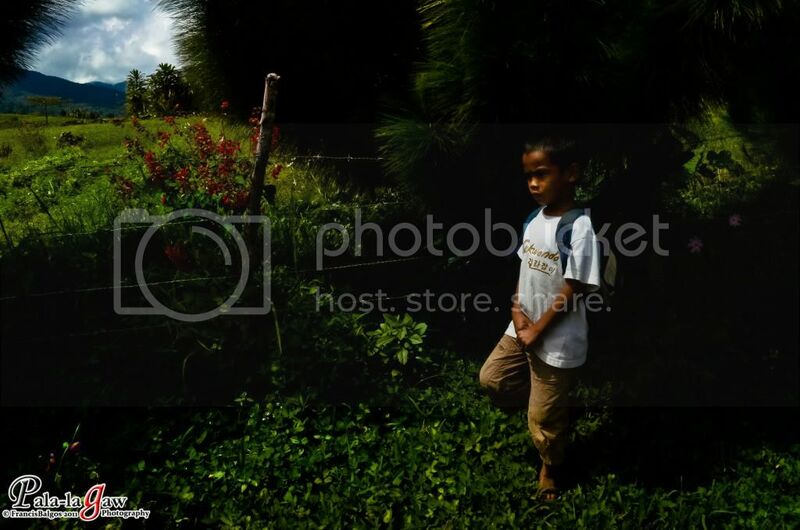 i really love the photo of the boy walking .ganda ng background and lighting. one of my dream..dream talaga eh no..